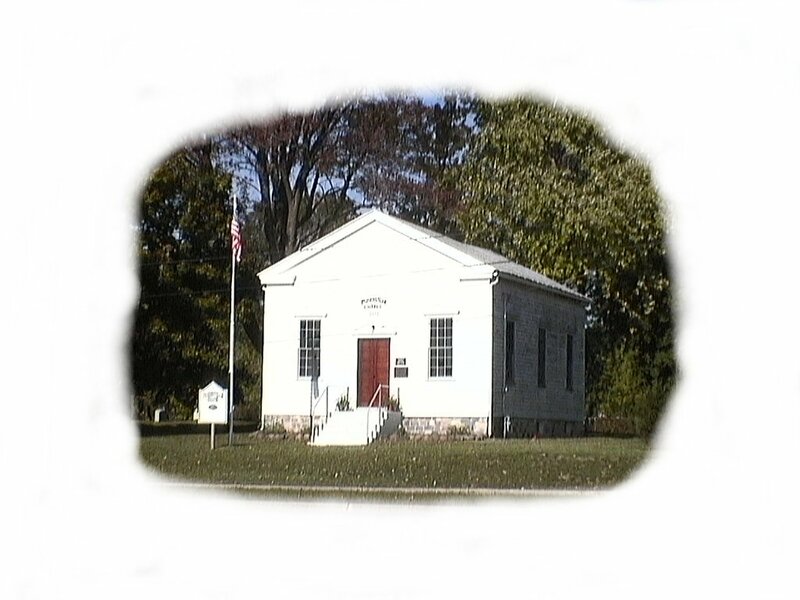 Welcome to the web site for the Painesville Meeting Hall. It is located on 27th and Ryan Road in Franklin, Milwaukee County, Wisconsin. The Meeting Hall was built in 1852 by Protestants from Wittenburg, Germany who settled in Franklin and Oak Creek. The meeting hall served the First Free Congregation (Frei Gemeinde) in Wisconsin. The building was used as an Army Depot during the Civil War, as well as by the Underground Railroad. The Painesville Meeting Hall was the first and oldest Freethinker Hall in Wisconsin. It has earned landmark status on the National Register of Historic Places in 1977, on it's 125th Anniversary. The focus of the Painesville Memorial Association includes maintenance and preservation of the Meeting Hall and cemetery. This web page is always under construction as we add new things. Please check back often for history, meetings, cemetery listings, and upcoming events. Here you will find the history of the meeting hall including information on the original group, the speakers, and some of the early members. The Cemetery- a list of surnames that are found in the cemetery along with a list of individuals, dates, and photos. Coming soon- Upcoming events. This will be projects, socials, etc. Members- membership information on some of the earliest members. We have our own mailing list! Click here, WI-PAINESVILLE-L, to read more about it and subscribe!